The LED Ceiling Occupancy Sensor Lampholder features an 8.7 Watt LED module, making it the energy efficient, popular alternative to incandescent and CFL fixtures. 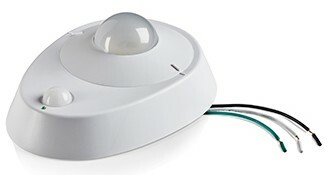 The LED Ceiling Occupancy Sensor incorporates today's most wanted features and meets NFPA® 70, NEC® Section 410.16 C (1) requirements. When motion is detected, it automatically turning lights ON and turns the lights off after 3 minutes when the room is vacated. It is easy to install with pigtail leads and knockout holes for multiple ceiling box configurations. 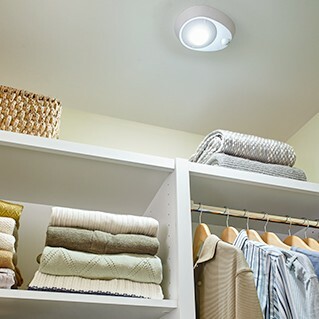 Designed for indoor use only, the device is ideal for closets, workrooms, basements, storage areas, utility rooms and attics.